Have you once sat like me and imagined just how much do dog groomers make? These are people who have devoted their time and skills just to make the dogs look neater and much healthier. Dog hygiene is one thing that you cannot do without. Some of the qualities that you need in order to make it as a dog grooming expert are patience, compassion and swift problem solving skills. You also need excellent interpersonal skills that would make you a tremendous person to work with clients and fellow workers. As per the estimates of Salary Wizard, the middle 50% of dog groomers earn a salary of between $24,693 and $37,729 while the bottom 10% of the groomers make an estimate figure of $19,650. It is the top 10% segment of dog groomers however who make the most cash. Their average salary estimates lie in the range of $44,555. Compared to the median salaries of other jobs such as non-farm animal caretakers, the median salary of dog groomers stands tall at $30,232. 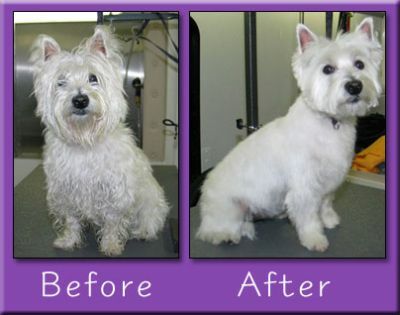 For you to appreciate and value dog groomers, you need to look at what they do. The grooming services they offer include drying, bathing, styling and fur trimming, cutting nails and cleaning ears among others. These services are valued at between $2,000 and $3,000 per month. In addition to these, dog groomers collect useful statistics about the dogs’ behavioral patterns and document any medical conditions noticed. They also schedules veterinary appointments and discuss any grooming needs with the dog owner. It is also their responsibility to ensure that the dog environment is clean and their equipments sanitized. In performing these services, groomers make use of a number of tools and equipments. Some of them are brushes, shedding blades, electric clippers and combs. 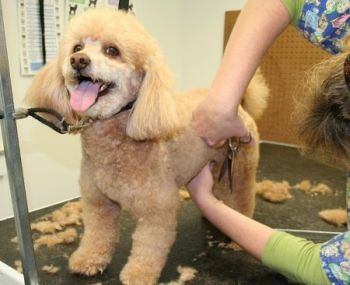 Pet groomers work on a variety of animals such as cats and dogs. Dog groomers are educated and have a career just like any other person. Their education begins with a diploma at high school level an equivalent of General Educational Development. After the formal education, dog groomers then undergo apprenticeship either in a vocational training program or just with a groomer. Here they could either work for free or earn a stipend which could amount to $300 per month. Grooming schools usually have programs running for about 2 to 18 weeks to help fully equip the groomers to be. Employment of groomers usually starts with simple tasks such as bathing and combing of animals and then with time, the groomers become more advanced skill-wise thereby able to take much bigger tasks which could pay more than $45,000 per annum. Groomers who become registered members of Groomers Associations have higher chances of getting good jobs and excellent salaries. The Bureau of Labor Statistics projects an increase in the demand for grooming services and overall animal care. In its estimates, the projected growth will be at 21% all through to 2018. This is such an enviable forecast compared to the entire industry. This will mean more jobs and more money for dog groomers. Now that you know your worth as a dog groomer, bargain for the right deal.